Check out the latest episode of “Manopera: A Wrestling Symposium,” where PWO’s own Nick joins Hosts Chris Butera and “Spaceman” Frank for a discussion of all things SummerSlam 2017 – big matches, frustrating angles, shark cages and all the beach balls you can handle. Check out the latest episode of “Manopera! A Wrestling Symposium,” where PWO’s own Nick guest stars with Hosts Chris Butera and “Spaceman” Frank to discuss the thrills, chills and emotional spills that was WrestleMania 33, its aftermath and speculate on the “Superstar Shakeup” angle. Also included is a Spaceman Frank shoot on the JBL/Mauro Ranallo situation. Donate To Their Patreon Here: www.patreon.com/thebonesaw. Check out the latest edition of “Manopera! A Wrestling Symposium,” as PWO’s own Nicholas Jason Lopez guest stars to discuss the best and worst of wrestling in 2016 with Hosts Chris Butera and “Spaceman” Frank Lucci. In a year filled with twists, turns and too many Pay-Per-Views, this thrilling trio breaks it all down! Check out the latest episode of “Manopera!” as PWO’s head honcho Nick guest-stars to discuss the second half of WrestleMania weekend and “Raw After Mania” with Hosts Chris and “Spaceman” Frank. 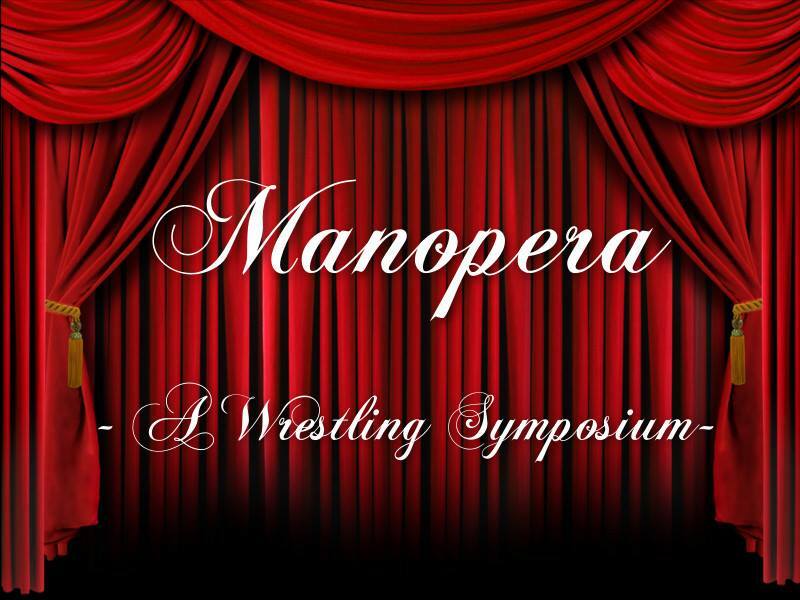 Check out the latest edition of “Manopera: A Wrestling Symposium,” featuring PWO’s own Nicholas Jason Lopez as a guest star, along with Hosts Chris Butera and “Spaceman” Frank Lucci, as they discuss the outcome of the 2016 Royal Rumble and Post-Rumble Raw, along with aspects of other recent WWE storylines – AJ Styles, the ill-fated injury bug, Roman Reigns and more thrills, spills and chills! PWO’s own Nicholas Jason Lopez guest stars on Episode 6 of The Bonesaw’s “Manopera! A Wrestling Symposium,” where Hosts Chris Butera, “Spaceman” Frank and Marques “Box” Younger talk Survivor Series 2015 and the post-SS Raw.